They are so many ways to market your service or product or even yourself. There is TV, Radio, Magazines and of course the Internet. Now the internet as a marketing medium is becoming of substantial importance, and for good reason. It is very effective and yet it is the cheapest of all marketing media. 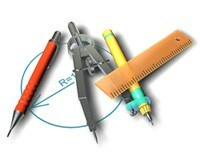 Because of our versatile background in marketing, we realize that a Website is only a tool to advertise one’s business. You- as a business owner- can have the best and most efficient Website, and yet no one will realize it’s even there. This is why, unlike a lot Website developers we give special attention to E marketing. To help our customers campaign for themselves and achieve their objectives we offer several programs that we know are very effective. The way to reach them. Preferred media search and reach analysis. Development of your advertising plan. Development of the plan to link you in the circle of your business. We will work with you to develop that Banner or poster design that will achieve your marketing objectives again for a very affordable fee. For your Website to appear on different search engines there are certain keywords we need to implant on your Website. This is a service that we excel at performing. 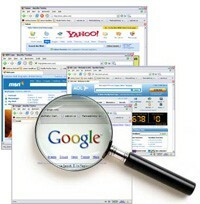 We will search for those keywords that best represent your business, and implant them on your Website. Now, after we did the keyword search for you and you appear on the popular search engines. But, your Website comes in the 10th row on the third page, where nobody usually checks…what can you do about it? Do not despair; thanks to our developers’ understanding of different search mechanisms, we’re able to put you in a very advanced position on famous search engines.